the EVIDENCE2e-CODEX website is developed, managed and administered by the EVIDENCE2e-CODEX Consortium via LIBRe Foundation, where LIBRe Foundation is a foundation, non-profit organization, established and operating in accordance with the laws of the Republic of Bulgaria, registered under company file No. 220/2015 as docketed in the Register of Non-Profit Legal Entities by the Sofia City Court, UIC BULSTAT 176860854, with seat and address of management: 64, Dimitar Petkov Str., Ent. B (Б), Floor 3, 1309 Sofia, Bulgaria; a Partner in the EVIDENCE2e-CODEX Consortium. The General Data Protection Regulation (GDPR) which became applicable in the territory of the European Union since 25 th May 2018 aims to protect your basic rights and freedoms as users of the services offered via the EVIDENCE2e-CODEX website by setting requirements and measures in order to ensure your personal data protection at any given time. As a data controller for the personal data processed through the EVIDENCE2e-CODEX website, LIBRe Foundation deeply believes that protecting your privacy and other fundamental rights and the integrity and confidentiality of your personal data is an integral part of the values and the aims of the EVIDENCE2e-CODEX Project. One of your rights under EU law is that you must be informed when your personal data - also known as personal information - is processed (collected, used, stored, deleted and so on) by any organisation, including the institutions and bodies of the EU. You also have the right to know the details and purpose of that processing. Some of the services offered through the EVIDENCE2e-CODEX website require the processing of your personal data. The present document gives you information about the compliance measures we have taken to protect your rights and freedoms while respecting the principles of lawful, transparent and honest processing of personal data. Here you can find out what kind of personal data we process, for what purposes and under what terms, with whom and under what conditions we share them. You can also read about how you can access your personal data and exercise the full amount of rights guaranteed by the General Data Protection Regulation. At any time, you may exercise your right of objection to the processing of personal data relating to you by contacting us directly. LIBRe Foundation collects your personal information for the sole purpose of facilitating the provision of services through the EVIDENCE2e-CODEX website. You have the right to access your personal information, to have it corrected and the right to recourse; at any time if you believe your data protection rights have been breached. The following personal data are processed only for the purposes of providing access to the Intranet Section of the EVIDENCE2e-CODEX website for registered Team Members of the EVIDENCE2e-CODEX Consortium. Position – if you decide to provide us with your position, it will be processed only for the purpose of providing professionally-oriented information to other Team Members of the Intranet Section of the EVIDENCE2e-CODEX website by making it visible to them (processed on the ground of Art. 6(1)(a) of GDPR). if you need the data in a specific format. We may refuse your access request if your data includes information about another individual, except where the other individual has agreed to the disclosure, or it is reasonable to provide you with this information without the other individual’s consent. We are going to provide the requested information in the one-month term specified in Article 12(3) of the General Data Protection Regulation. If you are unhappy with the result, please first get back to us so that we can investigate the matter further. You have the right to ask us to erase your personal information in certain circumstances. This is your so called ‘right to be forgotten’. If you want to exercise this right of yours contact us via our contact form and let us know what you want to be erased. you suspect we have used your data unlawfully. If your request is justified, we are going to erase your data in the one-month term specified in Article 12(3) of the General Data Protection Regulation. If you want to exercise this right of yours contact us via our contact form and let us know what you want data you consider incorrect and how you want it to be amended. When we receive your request, we are going to investigate the issue and either correct it or inform you why we consider the data accurate. We can also refuse on the ground of your request being “manifestly unfounded or excessive” which means it will cost us a significant amount of money or it will take a vast amount of resources. If your request is justified, we are going to erase your data in the one-month term specified in Article 12(3) of the General Data Protection Regulation. In some cases we may need some extra time for investigation up to two more months but we will let you know about the delay in the initial one month period. You have the right to ask us to restrict the processing of your information in certain circumstances. It may involve asking us to stop processing your data for a certain period of time, stop us processing your data in a certain way or even stop us deleting your data. In any circumstances you can exercise your right by using our contact form. we no longer need your data but you want us to keep it in order to create, exercise or defend legal claims. temporarily removing it from the EVIDENCE2e-CODEX website. the data is used is for reasons of important public interest. We can refuse your request on the ground of being “manifestly unfounded or excessive” which means it will cost us a significant amount of money or it will take a vast amount of resources. If your request is justified, we are going to erase your data in the one-month term specified in Article 12(3) of the General Data Protection Regulation. In some cases we may need some extra time for investigation up to two more months but we will let you know about the delay in the initial one month period. You have the right to object to processing if we process your information on the ground of our legitimate interests. If you feel we should stop processing your data on this ground, you can contact us and justify your reasons using our contact form. Note, however, that we may continue legitimately use your despite your objection if we can prove we have a strong reason to process your data that overrides your objection. If your request is justified, we are going to stop processing your data in the one-month term specified in Article 12(3) of the General Data Protection Regulation. data you have provided to the organization. Data you have provided does not just mean information you have typed in, such as a username or email address. It may also include such things as website or search usage history or traffic and location data. If you want to exercise this right of yours contact us via our contact form , indicating what kind of data you would like to receive from us in a machine-readable format. Before sending you this data we may need to confirm your identity in order to prevent fraud and other people getting access to your data. Then we will provide it in the required format. We can refuse your request on the ground of being “manifestly unfounded or excessive” which means it will cost us a significant amount of money or it will take a vast amount of resources. It can happen for example in case of a repetitive requests. Nevertheless, we advise you to try and contact us on the matter first. The cookie is a small text file that can be stored on your computer when you visit websites. Certain information is saved in this text file, such as the choice of website language. When you visit the website again, this cookie is sent to the particular website. This way, the website recognizes your browser and may, for example, save your language preferences. Cookies usually have an “expiration date” which indicates for how long they are kept on your device. For example, some cookies are automatically deleted when you close your browser (so-called session cookies) while others stay on your device for a longer time, sometimes until you delete them manually - we call them permanent cookies. WHY DO YOU USE 'COOKIES'? cookies that are used for analytical purposes. We use custom made platform to keep the content and services provided through the EVIDENCE2e-CODEX website up-to-date. This software uses the so-called cookies to provide specific functionality which means that they are necessary for the proper functioning of the website and therefore you cannot refuse the placement of these cookies on your device if you want to visit and use the services of our website. WHAT 'COOKIES' DO YOU USE? You can check the cookies we use and their function here. Functional cookies – if you want to use the EVIDENCE2e-CODEX website, you cannot refuse the placement of the following cookies, necessary for its proper functioning. You can block cookies by activating the setting on your browser that allows you to refuse the setting of all or some cookies. However, if you use your browser settings to block all cookies (including essential cookies) you may not be able to access all or parts of our site. XSRF-TOKEN (essential) 2 hours First-party cookie This is a session cookie and is written to help with site security in preventing Cross-Site Request Forgery attacks. articles_voted_ids 1 day First-party cookie This cookie is used to indicate whether a user has voted for an article during the 1-day period and is used to avoid double or more voting by one and the same user within a single day. creato_sessions (essential) 2 hours First-party cookie This is a cookie used to indicate whether the user is logged in in the website. If the user is logged in, the cookie contains information about the user ID. If the user is not logged in, the cookie contains information about an anonymous ID. 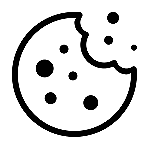 data-no-showcookiewarning (essential) 1 month First-party cookie This cookie is used to indicate the status of the cookie warning message. cookie_msg (essential) 10 years First-party cookie This cookie is used to indicate the status of the cookie warning message. Analytical cookies – the following cookies may be refused, and you may continue to use the EVIDENCE2e-CODEX website and the services offered through it. These cookies are used to collect information about how visitors use our website. We use the information to compile reports and to help us improve the website. The cookies collect information in an anonymous form, including the number of visitors to the website and blog, where visitors have come to the website from and the pages they visited. Read Google's overview of privacy and safeguarding data. _ga 2 years First-party cookie This cookie is used to helps us count how many people visit our site by tracking if you’ve visited before. _gid 24 hours First-party cookie This cookie is used to distinguish visitors via a visitor ID data. _gat_gtag_UA_103987859_12 10 minute First-party cookie This cookie is used to manage the rate at which page view requests are made. HOW TO FIND OUT WHAT COOKIES WERE PLACES ON MY DEVICE AND HOW TO DELETE THEM? If you want to know what cookies are installed on your device or want to delete them, you can use your browser settings. 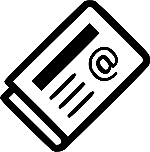 We need your email to be able to send you the EVIDENCE2e-CODEX Newsletter. If you do not confirm your email address within 3 days’ time, it will be deleted from our system. In case you confirm your email address finalizing the subscription process, it will be used for the purpose of receiving the EVIDENCE2e-CODEX Newsletter only. Our purpose for collecting the information is so we can provide you with a service and let you know about EVIDENCE2e-CODEX most recent activities. The legal basis we rely on for processing your personal data is your consent under article 6(1)(a) of the GDPR. We rely on your consent to process the personal data you provide to us for sending you this newsletter. You have the right to withdraw your consent, or to object to the processing of your personal data for this purpose at any time. You can do that by clicking on the "unsubscribe" link at the bottom of each newsletter or by sending an email to: office -at- evidence2e-codex.eu. If you do that, we are going to update our records immediately to reflect your preferences. In case you do not consent to processing your email address for sending you the EVIDENCE2e-CODEX newsletter, you can still access the previous newsletter through the EVIDENCE2e-CODEX website.